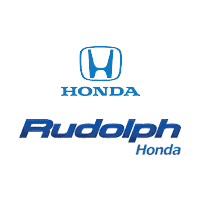 Official Mail-in Voucher must be picked up at Rudolph Honda Service Department after service completed. Purchase: A Castrol GTX ( Includes GTX ULTRACLEAN), GTX MAGNATEC, or EDGE Professional oil change at this dealership. Submit: Official voucher completely filled out, with proof of purchase. Copies, facsimiles or mechanical reproductions of the mail-in voucher will not be accepted. Please do not staple! Proof of Purchase: The following proof of purchase is required. Copy of all pages of Dealership register receipt (Repair Order) indicating the Dealership name, price paid, date of oil change service, VIN and brand of Castrol oil purchased. Credit card receipts are not a valid proof of purchase for this program. FREE & pre-paid oil changes are NOT a valid proof of purchase. Submissions must be postmarked within sixty (60) days from oil change service. Receipts dated before 1/1/2019 and or after 12/31/2019 will not be accepted. 2019 BP Lubricants USA Inc.